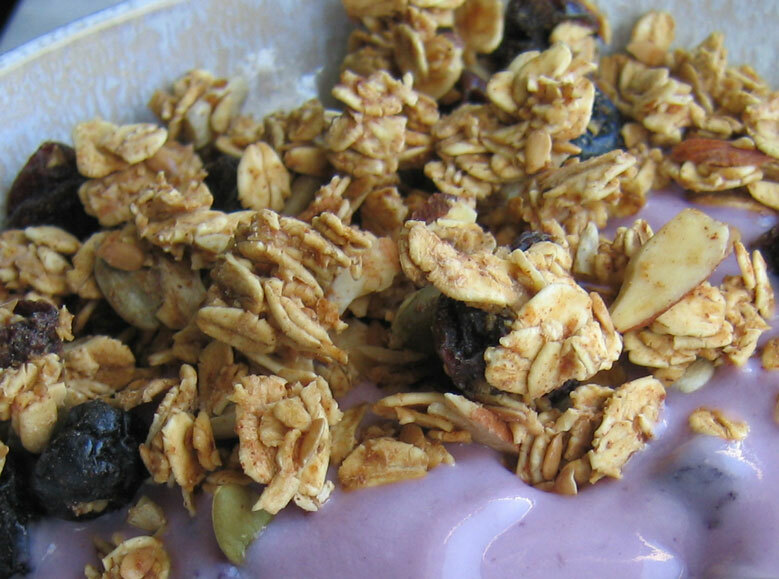 But even with this versatility, why ignore one of the best uses: Granola! I’ve made up a fabulous Pumpkin Granola and a Sweet Brown Sugar Granola, so clearly I like oatmeal. This particular granola is a simple and yet a healthy granola. The recipes are all similar, but little variations make big differences! Of course this pairs well with yogurt, but it’s a great snack on its own and a great topper on ice cream. I’ve also used this as a base for a cheesecake crust. 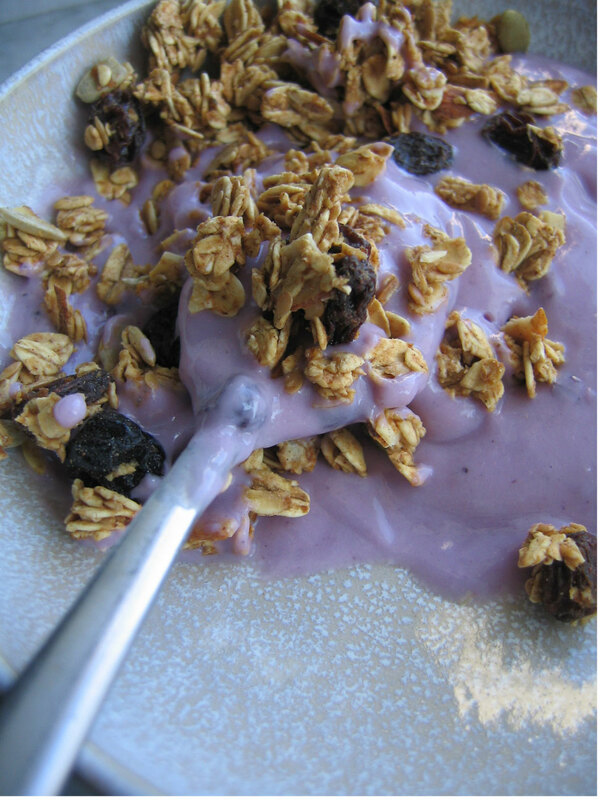 Try all three of my granola recipes. You’ll find oats are your friend and you’ll never buy store-bought again. Whisk all the wet ingredients (from applesauce to brown sugar). Then use your hands to mix the sauce into the oat mix. Be sure everything gets coated but don’t over mix and do squeeze some clumps if you like the clumpy granola. Spread out on between two cookie sheets, lightly greased. Bake in the oven at 200 degrees for about 2 hours. Toss about every half hour and check for doneness.